July in Aotearoa might be more about freezing southerlies than ice-zombies from the North, but honestly, at least the latter has novelty value. Winter has well and truly arrived; time to snuggle up with some reading. At the Edge, edited by Dan Rabarts and Lee Murray, is now available in bookstores around New Zealand – or, for those of you who would prefer not to get out of bed (or onto a plane) to get your hands on a copy, you can find the ebook at all the usual haunts, and the paperback from Amazon. Want to get your hands on the latest and greatest in Australasian SFF? Click here for links. 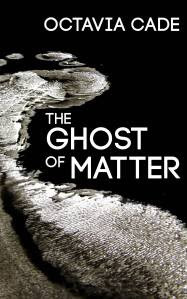 Octavia Cade’s The Ghost of Matter, which won Best Novella/Novelette at the 2016 Sir Julius Vogel Awards, is free to download this weekend. This story of grief, ghosts and atoms will linger with you long after the last page. Read it today.